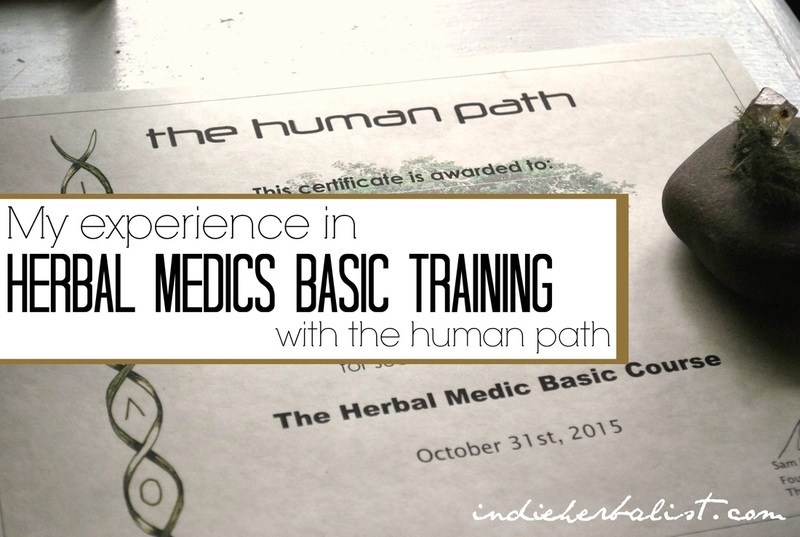 Continuing education is something I take pretty seriously as an herbalist, and well, just in general, too. I make time to stick my nose in a new book as often as I can, and love a good hands-on projects. Taking new classes or courses is a regular budget item for me. 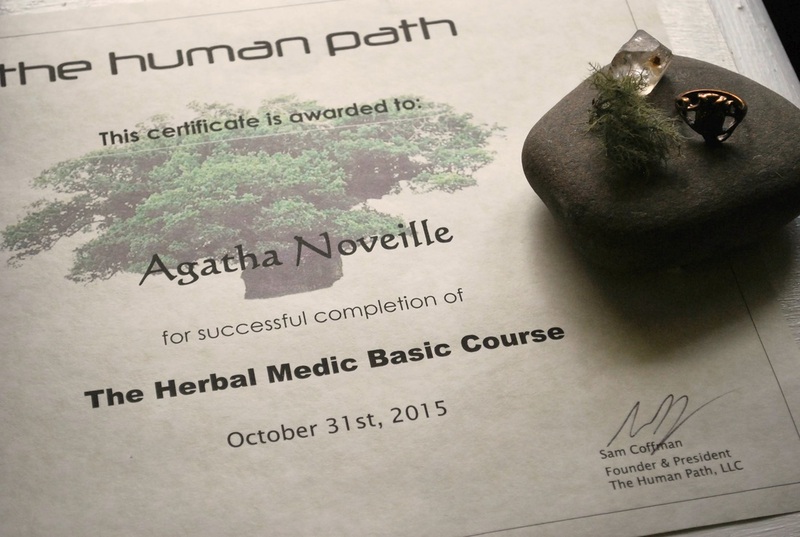 So, when I was poking around looking for my next continuing education adventure I was really excited to find a course run by a former Green Beret medic: The Human Path, a school that specializes in sustainable medicine, food, and skills. This course is designed to give students a foundation for working in settings where access to medical care has been interrupted in emergency settings- where there is no doctor and hospitals aren’t an option. As such, it deals with the type of scenarios that might be encountered after a major natural disaster. It covers many foundational herbal topics (like how to make salves and extracts), but also has a fairly unique approach to working in a clinical setting. For instance, in an emergency/field clinic setting it’s unlikely that you will be able to rely on lengthy client intake and a well stocked herb shop down the street. You need to learn how to assess and work with a population in a way that maximizes your available time and resources. There is tons of great information in this course. Be prepared to listen to lectures a couple of times each, print out the materia medica info and the class pdfs, and generally stay organized to get the most out of it. I’m still listening to the recordings and gleaning info several months after. Flexibilty is another plus. Lectures are recorded so if you can’t tune in live you can still listen to them later. (Very helpful for someone like me who has multiple jobs and a side hustle going on!). The instructor, Sam Coffman, was willing to adjust due dates when he realized the majority of students needed more time to finish- he was very accommodating and understanding. In addition, he was very accessible, happy to answer questions, and took the time to provide more background or details when students had questions. Even though the course is online, materials are sent in the mail so you can practice some herbal projects at home like making a salve, syrups, and extracts. If you’ve never done it before, detailed tutorials are provided as part of class. There’s even a group project to help you explore how to budget for setting up a post-disaster clinic. I’m not usually big on online group projects (herding cats, anyone???) but the project really helped bring the scenario to life in a way that receiving a print out of “this is what you need, this is what it costs, here’s how to do it” would not have done. A really useful thing that this course covered was how to make percolation tinctures. I haven’t seen this covered in many other places, but I use it a lot at home and it’s very handy for clinic settings when you can’t wait around for 2 weeks for a tincture to be ready. I’m really glad he chose to include this, because I think more people could benefit from knowing how to do it. My only two critiques about the course are relatively minor. I was a little frustrated that the webinars tend to ramble because students are allowed to ask anything about anything at any time. I would have liked it much better if the instructor covered the current lesson’s material first, and then switched over to Ask Me Anything mode- I think the material would have been much easier to learn if it hadn’t been chopped up with unrelated questions. The course really is fantastic, though, and I think my favorite parts were probably the materia medica and the first aid/clinic set up lectures. The materia medica portions cover many western herbs and native plants, and a really great mix of well-known and less-commonly addressed plants. It was also a very practical combination of traditional use and modern science. As far as the first aid and clinic set up lectures go- wow! Such great info. Everything from set up, intake, how to assess what’s going on with clients through basic first aid rules and mnemonics (you may already be familiar with these if you have studied as a first responder or medical professional before) that really do make the information so much easier to remember, and it’s great to see them applied in an herbal setting. The course also looks at how to interview clients and what kinds of questions to ask to get the most illuminating answers. The instructor’s background in interrogation techniques gives him a very helpful perspective on this and it was intriguing to listen to him speak on this topic. It’s also great because if you are working first aid type settings, it’s not feasible to give clients a lengthy interview form to fill out and return before they come for the first visit. People show up, you talk to them, and you sort out what you can offer right there, real time. It requires a different approach, and one that Sam covers very well. Basically, this is an absolutely phenomenal course if you are interested in off grid/ emergency herbalism, and I look forward to continuing my studies with the school- hopefully in the near future! P.S. The founder of the school, Sam Coffman, has also written a book called The Herbal Medic. At the time of this posting, it’s available directly from the school, but I understand that it will be available from Amazon later this year when volume two is published. Read my DIY Guide to Radiant Health Using Herbs! Adaptogens are a unique class of herbs that greatly improve your body’s reaction to emotional and physical stress while increasing your energy, stamina, endurance, and mental clarity. 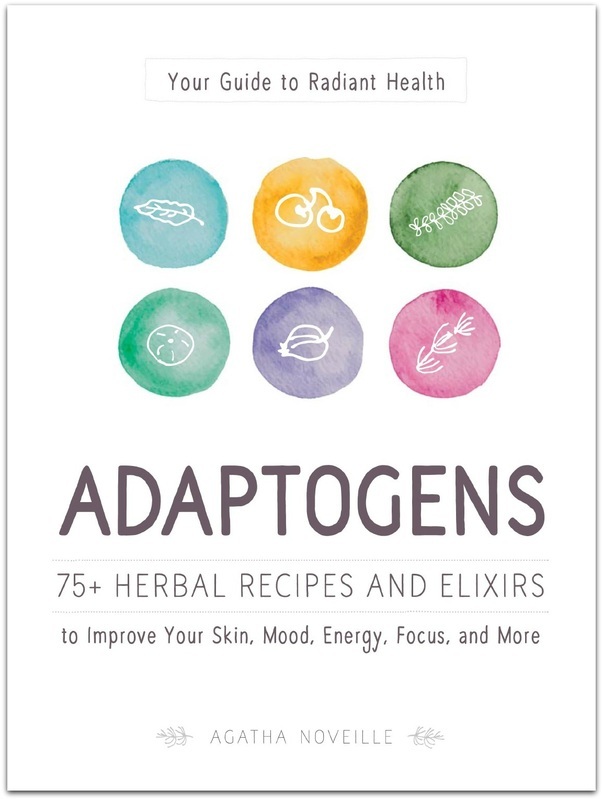 Whether you’re interested in honing your mental abilities to a razor-sharp level, want to give your athleticism a boost, or are looking for ways to improve your healthy lifestyle, adaptogens have so much to offer for everyday well-being. In Adaptogens, I reveal the secrets to vibrant health and natural healing along with more than 75 do-it-yourself herbal recipes for potions, teas, and elixirs to support sleep, mood, mental focus, immune function, stamina, and for general wellness and beauty. To learn more and to buy the book, visit my book page! I read Sam’s book a while back and it is really good. He does offer some amazing courses online. I might have to add this to my ever growing courses-to-take list!